The purpose of the website is to offer for sale cosmetic products (here in after referred to as “Products”) to consumer and professional buyers. Comette Cosmetics products are cosmetic products intended for external use. In no case the information mentioned on our products, our website or our commercial and advertising documents should replace the opinion of a health professional. The prices take into account the T.V.A applicable on the day of the order. If the rate were to be modified, these changes may be reflected in the price of items without the Customer being informed beforehand. Product offers and promotional offers, mentioned as such, are valid as long as they are visible on the site and available in stock. The promotional codes are valid until the date indicated by Comette Cosmetics. The prices and special offers offered on the Site are only valid for products sold on www.comettecosmetics.com and can not be applied to products sold in stores or on other Internet sites, and vice versa. The prices of our products are indicated in euros all taxes included (VAT and other taxes applicable on the day of the order) including expenses of treatment and forwarding. All orders regardless of their origin are payable in euros. 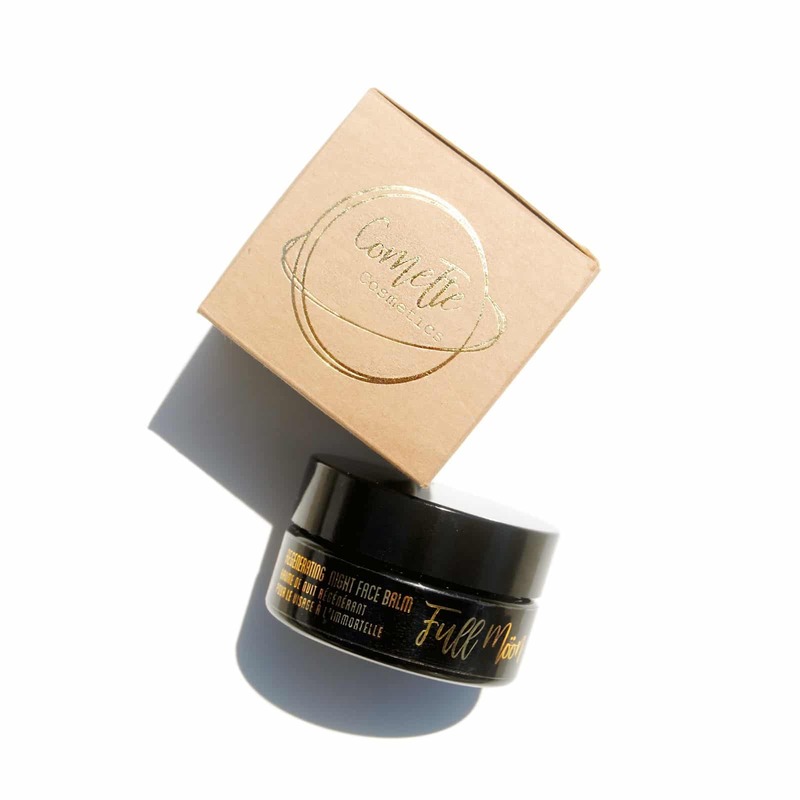 Comette Cosmetics reserves the right to change prices at any time, but the product will be billed based on the rate in effect at the time of validation of the order and subject to availability. The products remain the property of Comette Cosmetics until full payment of the price. You can place an order on our website or by post by detailing the name of the product(s) you wish to purchase as well as the quantity and by attaching a check for the amount corresponding to the following address: Société Comette Cosmetics, 13, Rue du Manchot, 26770 TAULIGNAN, FRANCE. The said check will be made payable to the company Comette Cosmetics. The company Comette Cosmetics reserves the right not to register a payment, and not to confirm an order, in particular in the event of stock shortage on the product concerned. Any order appearing on the website http://www.comettecosmetics.com assumes the adhesion to the present General Conditions. Any confirmation of order implies your full and complete adhesion to the present general conditions of sale, without exception or reserve. All data provided and the recorded confirmation will be worth proof of the transaction. You declare to have perfect knowledge. The order confirmation will be worth signing and acceptance of the operations carried out. The products are delivered to the delivery address indicated during the ordering process, within 15 calendar days maximum from the validation of your order. In principle, we ship orders within 48 hours (working days). In case of delay of shipment, an email will be sent to inform you. Comette Cosmetics can not therefore be held responsible for late delivery due to the fact of La Poste. Comette Cosmetics can not be held liable for damages resulting from misuse of the purchased product, the recommendations for use of which appear on the packaging. Similarly, Comette Cosmetics can not be held liable for any inconvenience or damage arising from the use of the Internet, including a break in service, external intrusion or the presence of computer viruses. The Seller undertakes to provide the Customer with a good or service in accordance with his request. “The seller delivers a good in accordance with the contract and responds to defects of conformity existing at the time of delivery. It also responds to any lack of conformity resulting from the packaging, the assembly instructions or the installation when it was charged to it by the contract or was carried out under its responsibility. Article 1641 of the Civil Code: “The seller is bound by the guarantee for reasons of hidden defects of the thing sold which render it unsuitable for the use for which it is intended, or which diminish so much this use, that the buyer does not would not have acquired, or would have given a lower price, if he had known them. “The action resulting from the latent defects must be brought by the purchaser, within two years from the discovery of the defect”. “When the buyer asks the seller, during the course of the commercial guarantee which was granted to him during the acquisition or the repair of a movable property, a restoration covered by the guarantee, any period of immobilization at least seven days is added to the duration of the warranty that remained to run. This period starts from the request for intervention of the buyer or the provision for repair of the property in question, if this provision is subsequent to the request for intervention. When the Client acts as a legal guarantee of conformity, he has a period of two years from delivery of the property to act. He can choose between the repair or the replacement of the property, subject to the conditions of cost envisaged by the article L. 217-9 of the code of consumption. It is excused from reporting the proof of the lack of conformity of the good during the twenty-four months following the delivery of the good. The legal guarantee of conformity applies regardless of the commercial guarantee that may be granted. The Customer may decide to implement the guarantee against hidden defects of the thing sold within the meaning of Article 1641 of the Civil Code. In this case, he can choose between the resolution of the sale or a reduction of the selling price in accordance with Article 1644 of the Civil Code. The language of this contract is French. These conditions of sale are subject to French law. In case of dispute, the French courts will be the only competent. All elements of the site comettecosmetics.com are and remain the intellectual and exclusive property of Comette Cosmetics, as well as the Comette Cosmetics logo. The trademark and its logo are the subject of a deposit at the INPI. No one may reproduce, use, repost, or use for any purpose whatsoever, even partially, elements of the site, whether photographic or text without citing the source. Comette Cosmetics reserves the right to collect personal information and personal data about you. Indeed, they are necessary for the good management of your order. They can also be transmitted to the companies that contribute to these relations, such as those responsible for the execution of services and orders for their management, execution, processing and payment (La Poste for example). This information and data is also kept for security purposes, in order to comply with legal and regulatory requirements. In accordance with the law of January 6, 1978, you have a right of access, rectification and opposition to personal information and personal data about you, directly on the website. The company Comette Cosmetics will archive purchase orders and invoices on a reliable and durable as a true copy in accordance with the provisions of Article 1348 of the Civil Code. name of the director of publication and contact details of the web host (name, denomination or company name, address and telephone number) for blogs and forums: for a commercial site, general conditions of sale (GTC): price ( expressed in euros and all taxes included), fees and delivery date, method of payment, after-sales service, right of withdrawal, duration of the offer, cost of the remote communication technique: Cnil simplified declaration number, in case customer data collection (not required, but recommended). obtain their consent; provide Internet users a way to refuse them. The validity period of this consent is 13 months maximum. Some cookies are however exempt from the collection of this consent. The breach of one of these obligations can be sanctioned up to one year of imprisonment, 75 000 € fine for the natural persons and 375 000 € for the legal persons.